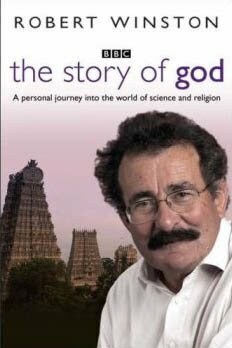 "The Story of God : Life, The Universe & Everything" is an epic journey across continents, cultures and eras exploring religious beliefs from their earliest incarnations, through the development of today's major world faiths and the status of religious faith in a scientific age. The series examines the roots of religious beliefs in prehistoric societies and the different ways in which humanity's sense of the divine developed. It looks at the divergence between religions that worship a range of deities and those that represent strict monotheism. The Story of God series explores the origins of religion. The documentary focuses on the three Abrahamic faiths, and discusses belief in God in a scientific age. The series included a number of interviews with scientists including Dean Hamer, atheist Richard Dawkins, and members of the CERN programme.